I don't believe there ever was an "AS1" as such. The Aerion design started off with a different, twin-jet configuration, which was advertized for a while until they changed to the final trijet one. I believe the revised design was labeled "AS2" to reflect the fact that it was different and improved, a bit like athe 2.0 version of some software. 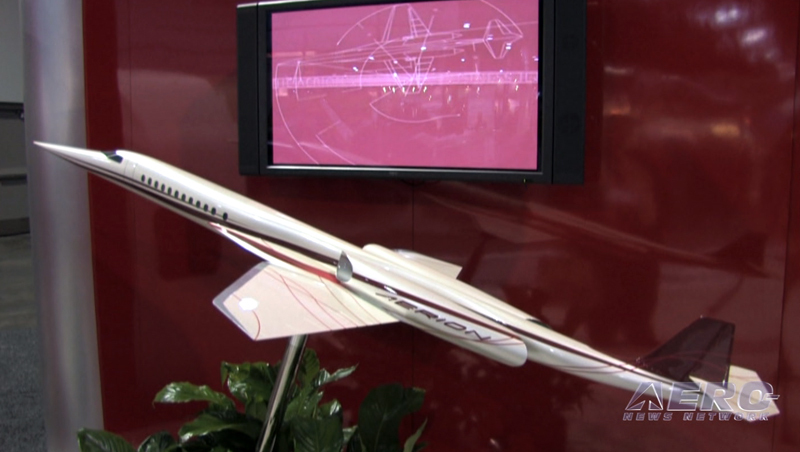 For the record, the twinjet project itself didn't originate with Aerion. It started off as the Reno ASSET, which was also studied in V-tail (actually trident tail) configuration at one point. Aerion purchased the program from Reno and developed it from there. Thanks. 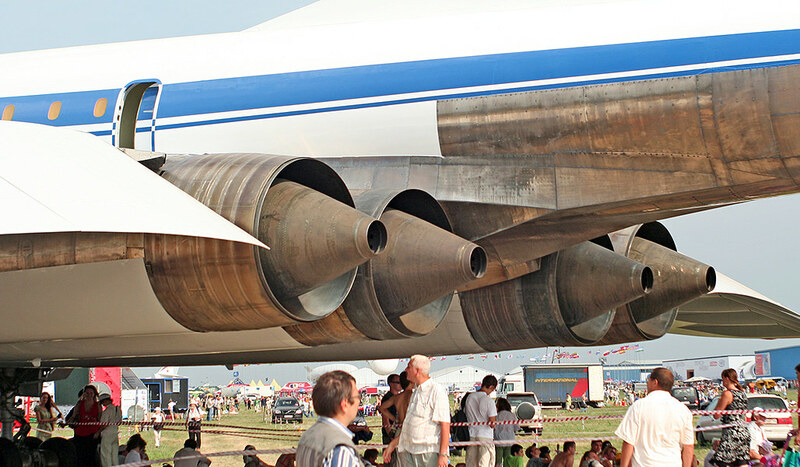 I imagined that twin engine design is AS1. Two engine design : Maximum speed=Mach1.8⇒Three engine design : Maximum speed=Mach1.5.?? Gosh! I never realized there was such a huge difference in size! It's truly more than a change of engine number, it's a whole different aircraft. No wonder they had to indicate the change through a new designation... Thanks blackkite for your efforts. Hi! Previous little strange shape non t-tail design. Of course naming northropi was taken from Jack Northrop. The last design with the horizontal stabilizer in the jet stream is simply idiotic... It is literally the starfighter but then adapted..
Oh! TU Delft AE student. How do you think about this project? I thinks it is a cool idea and I can see it flying if the company can get enough funding to get through the certification process. Capacity and range of current 3 engine design is almost same as previous 2 engine design, but aircraft size,required engine thrust and cost increase very much and crusind speed decrease.Why? Boomless speed is only mavh1.2. In addition, engine is not decided still now. I imagine that drag and sonic boom of this design concept is not so small compared with initial anticipated value. This design is in a pinch? Haha I'm only a second years student, but I'll give it a go So The story is that the engines must be smaller but due to the fuselage change in the rear and overall, due to so called 'area ruling', the decrease of efficiency will be made up for with the increase in overall internal volume (And so it can carry more fuel). And yeah the boom helps a lot because it breaks the shock waves in front of the jet decreasing the drag a lot. The drag at Mach 1.4 or 1.5 is a lot higher that of Mach 1.2, since drag increases squared to the speed. If you would leave the boom out and keep the same basic geometry and therefore same drag coefficient, there would act a 1.36 times as big drag force on the jet at mach 1.4 than at mach 1.2. That is a lot to be honest. So yeah the sonic boom is quite essential in this design. If you can increase the range with the boom an 19 percent and fly 17 percent faster, that is quite big achievement. Hmmm....Thanks a lot for professional opinion. I can't understand this part. "If you can increase the range with the boom an 19 percent and fly 17 percent faster, that is quite big achievement. " I got that data from analysing a figure of the aerion site. Anyway we strongly hope the early realization of this quiet supersonic cruising aircraft very much. So this topic must be moved to aerospace section. I wonder if they'll have to use the Edwards dry lake bed for takeoff. Oh AS2 need BLCS same as F-104? Is this one of the reason why AS2 needs one more engines? Maximum speed : Mach 1.5 and 1.6, which is the correct value? "The selected engine core will be in the 15,000-pound-thrust range–a list that includes the Pratt & Whitney Canada PW800, GE Passport and Rolls-Royce BR710. Aerion plans to announce the winning engine at the NBAA Convention in October." "Aerion is going forward with the advanced design of the AS2, with detailed design slated to be completed in the middle of next year. It is also continuing testing and recently concluded a series of low-speed wind-tunnel tests at the University of Washington Aeronautical Laboratory that assessed various high-lift flap configurations. " Until some amount of hardware starts being produced, I personally deem it wise to just leave it where it is now!! in Washington, D.C., along with a GE Aviation executive, to discuss their plans for "exploring the joint development"
performance, efficiency, environmental responsibility and affordability,” the companies said. speculation has been that Airbus would eventually become the production partner for the AS2. constituencies,” Aerion chairman Robert Bass said in October. Bass will also be present at Friday's conference. Wow. It's really yuk looking. Would you put your CEO on something that says Lockheed on the side and looks like an F-104? Supersonic business jets are really flying Bugatti Veyrons. They are very fast, insanely expensive millionaire toys, and in the end, essentially pointless. Barely a 300 aircrafts market, with 5 competitors so far (there will be blood). Things didn't really changed since 1999 when Dassault briefly studied their SSBJ. The market is stuck at 300 aircrafts (best case) the engines remain the hardest hurdle, if new, they are extremely expensive (especially for 300 aircrafts) if derived from military engines, reliability is bad (think Formula 1 engines, exciting but very short life) while Airbus or Boeing turbofans are stuck at subsonic, and oversized. I guess I'm in the minority, as I like the latest version of the Aerion, compared to the original or intermediate design. I would like to know why they moved the wing up and the front engines below it? I'm thinking weight, since you can carry the wing structure across the top of the fuselage, but now the mlg loads have to be carried by the fuselage. Aerodynamically, it might be to maintain good airflow over the top of the wing, since it's supposed to be a laminar design. Yes, especially if it were a Lockheed executive. Aerion estimates that it will be able to launch the AS2 supersonic business jet in 18 to 24 months, as it awaits the results of an engine study being conducted by General Electric. He admits that while the type is a niche aircraft, aimed at individuals with $120 million to spare, the number of billionaires in the world is rising. Aerion estimates that there are 3,600 billionaires in the world today, and this number is growing at 8% a year. LOS ANGELES—Supersonic business jet developer Aerion says it remains on track to launch the Mach 1.4 AS2 within the next few months. Aerion also said it is targeting a transatlantic flight from New York to London in October 2023 to mark the 20th anniversary of the retirement of the Anglo-French Concorde. The first example isn’t relevant as the JWST will fly & fairly probably in 2021. It was to be launched in 2007, not 2021. Aerion SSBJ has been in the news for more than a decade, too. Supersonic business aviation broke a crucial barrier at NBAA today with Aerion’s chief executive Tom Vice laying down a firm timeline for first flight with a new engine variant from GE and what was described as a “revolutionary” new cockpit design with Honeywell for the world’s first faster-than-sound business jet. “We’re on track to fly in June 2023, and before that year is out we will cross the Atlantic at supersonic speed – the first supersonic crossing since the Concorde’s retirement 20 years earlier,” Vice said at a press conference today. Short video on the Affinity supersonic engine from GE. Says it uses "the world's most popular core." CFM56, then? Can GE actually pull that core out and use it in a non-CFM joint venture design? 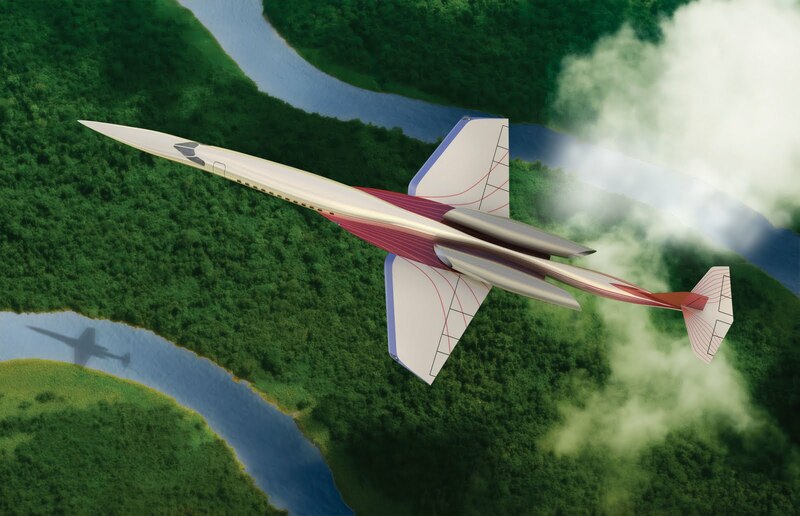 That bypass is huge for something expected to be supersonic. Can the special mixing nozzle somehow be adding energy to the bypass flow via entrainment of some sorts? Maybe there is a variable bypass system GE is keeping hush hush, or the double fan stage actually is producing the bypass air velocities needed to deliver supersonic achieving thrust, which may require some advanced convergent shaping. The use of a carbon fibre outer casing might be a clue to the kinds of pressures (or technically lack there of taking Bernoulli into account) it's expected to endure with two powerful fan stages driving such an insane amount of bypass air, at supersonic RPMs like some high bypass turbofans do at takeoff power. The noise is of course contained within the casing. I think the secret is the bypass shoving air down fast enough (read: fast) so that the hot core mixing can keep it energized enough to maintain fast mixed flows. It explains the special core exhaust nozzle shaping. Just look at how deep the exhaust grooves get, almost touching the nozzle cone. What I assume is the slower bypass air flowing along the core casing is being given the most entrenchment into the exhaust so it's given the most exhaust energy. The top of the nozzle tips almost look like they're trying to keep the outer bypass flow from mixing too much, or it could be for efficient bypass flow for subsonic flight. While further details are scant, the variable-nozzle design is believed to be centered on an external-expanding, or plug, nozzle which consists of a central axi-symmetric plug that translates fore and aft, depending on the phase of flight. The plug sits in the freely expanding supersonic jet and replaces more usual designs, such as convergent-divergent nozzle, as a means of containing the expansion. I'm not enough of an aero-engine geek to parse this well, but hopefully it makes sense to someone here who can break it down for the laymen. ........there indeed is core and bypass intermixing before it hits the exhaust nozzle + plug. I think I'll just call it the Zweibel like the Germans did! Though of course previous plugs were essentially part of the engine central assembly and the addition of afterburners made integrating such a thing difficult. Hence convergent divergent nozzles becoming the standard, but I'm somewhat surprised Zweibel nozzles didn't really catch on for non-afterburning engines. It's only too bad there is going to be a logical limit in speed this engine can deliver, but it provides the subsonic efficiency low bypass types cannot. I wonder if this engine would suit Boom Technologies' needs as they are targeting Mach 2.2, not 1.4. The Affinity reminds me very much of GE F101 without afterburner. It should, the Affinity is basically the same core as the F101 with a different fan setup. Ha ! And General Electric F101 core was the basis of the... CFM56, in 1974 ! This caused seemingly endless troubles when the U.S military put pressure on Nixon and Kissinger and they blocked technology transfers to SNECMA. Until Pompidou met Nixon in may 1973 and banged his fist on the table. So it makes some sense to start from CFM56 - and move back toward the F101 core. Except that, Aerion now has to assume the cost burden of funding a new engine for its project. This sunk Dassault SSBJ back in 1998, when the M88 core proved unowrkable into a civilian engine. Think Ferrari V-12s for Formula One and road cars - they are essentially separated developments. So it essentially boils down to finding the best compromise between a CFM56 and a F101. Clever reasonning from both GE and Aerion, let's see if they can pull it out. ...and by the way, I've been ninja'd by TomS over the CFM56 connection. Only a casual glance at Wikipedia show the severe limitations of both AS2 and Affinity. Noise, speed, range, fuel consumption... all conflict with each others. Hard, very hard tradeoffs. I really wonder if they can pull it out. Technically, yes. Commercially ? I have doubts. For example, mach 1.2 to mach 1.4 top speed - will it really makes a difference big enough with a mach 0.92 Cessna Citation ? Can't help thinking about Boeing Sonic Cruiser. Speed really didn't paid with this one. For example, mach 1.2 to mach 1.4 top speed - will it really makes a difference big enough with a mach 0.92 Cessna Citation ? Cost wise, being able to fly from NY to London and back in a single day will do the trick. Unless Boom of course succeed in a similar time frame.